An organization of Catholic men devoted to preserve, honor, and venerate the Holy Name of Jesus. This society was formed on May 18, 1931, with Fr. John Kaplinski OFMConv. as moderator, B. Oshinski as the first president, and L. Polowczyk as vice-president. 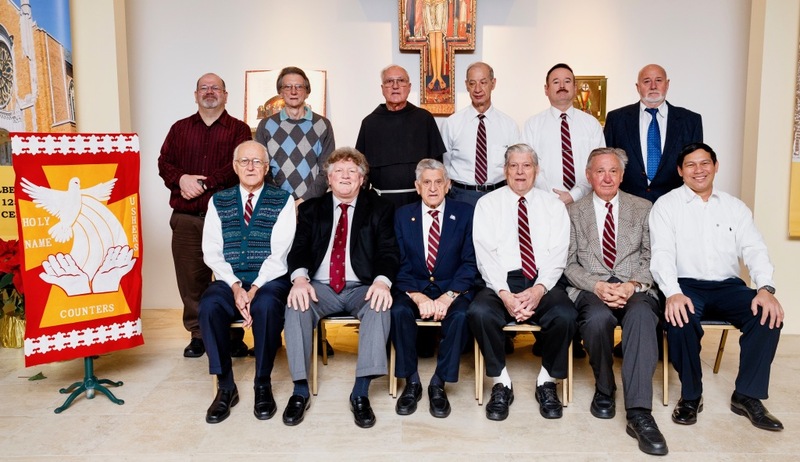 From the early days of the organization to the present, members continue to serve as ushers, lectors, eucharistic ministers, bingo workers, members of the parish council, altar servers for funerals and money counters. Beginning in 1971, the Holy Name Society sponsored an essay contest the Fr. Alfred Stopyra Scholarship, which is awarded to an eighth-grade boy and girl who demonstrates exemplary writing skills. At one time this award was presented at the Annual Holy Name Communion Breakfast. Each month, the active members meet on the first Thursday and attended First Friday liturgy. As of the 100th Anniversary, in 1992, thirty-six men had served as president of this society. The Holy Name Society continues to serve the parish and will, this year, celebrate 86 years as an organization. They remain active in serving the Parish. The Holy Name continues their long tradition of sponsoring an essay contest for a graduating boy or girl from St Adalbert School, and lends their support to many other parish events. They meet once a month and come together as a group for monthly Sunday Mass to offer their prayers in remembrance of their deceased members. The current officers are: Tony Sparacino-President, John Bartalini-Vice President, Steve Casalaspro- Secretary and Tom Casey-Treasurer. Their moderator is Fr. Herman Czaster.